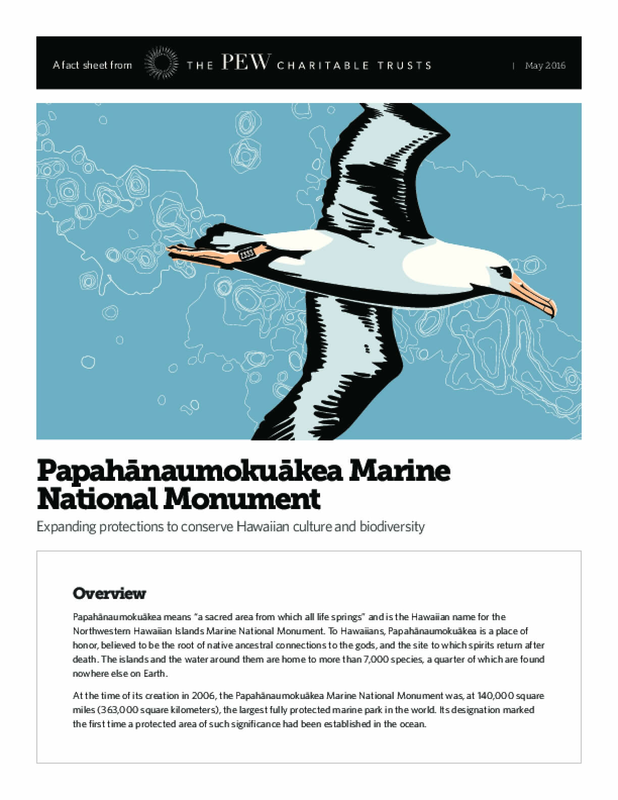 Papahānaumokuākea means "a sacred area from which all life springs" and is the Hawaiian name for the Northwestern Hawaiian Islands Marine National Monument. To Hawaiians, Papahānaumokuākea is a place of honor, believed to be the root of native ancestral connections to the gods, and the site to which spirits return after death. The islands and the water around them are home to more than 7,000 species, a quarter of which are found nowhere else on Earth. At the time of its creation in 2006, the Papahānaumokuākea Marine National Monument was, at 140,000 square miles (363,000 square kilometers), the largest fully protected marine park in the world. Its designation marked the first time a protected area of such significance had been established in the ocean.